The Plover is a classic vessel with an unrivalled level of shelter, comfort and versatility. She is the biggest, cleanest charter boat in the Mornington harbour — the perfect platform for your day trip on Port Phillip Bay. The Motor Vessel PLOVER was built during the Second World War by General Motors Holden at Fishermen's Bend, Melbourne in 1942 for the Royal Australian Army. For more information about the Plover's history click on the "Interest Articles" tab above. 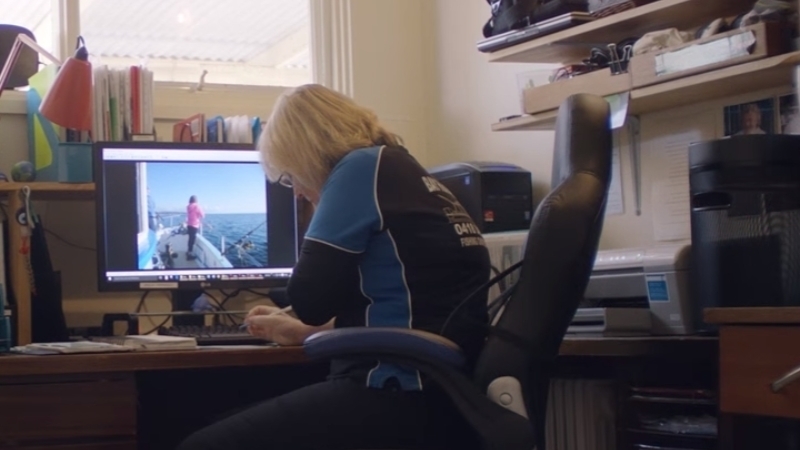 She has had many lives since, but in her current role she has to be the best thing to happen to raise the standard of fishing charters in many years. Plover's layout has been purposely re-designed to be absolutely perfect for a day's fishing or cruising on Port Phillip Bay with an unrivalled level of shelter and comfort. Plover will change your expectations of charter boats. 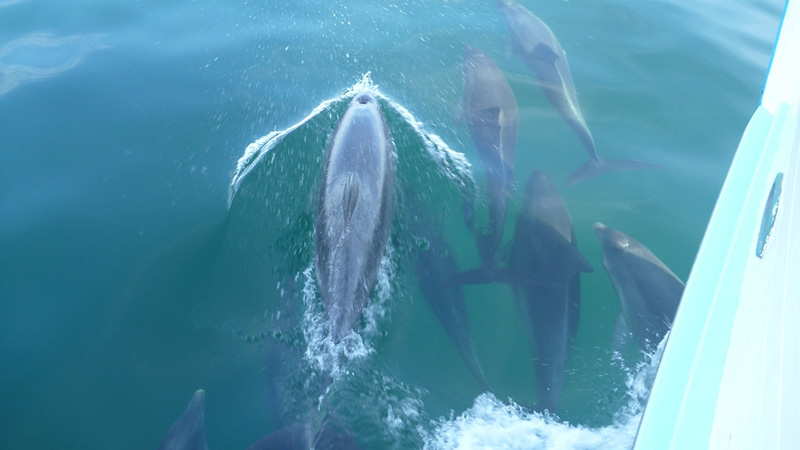 We are more than just a fishing charter ... we are a marine experience. Plover is safe, stable, sheltered and roomy. We promise not to overload. There are three large areas aboard where you can safely cast your line and she has more seating per person than any other charter boat on Port Phillip Bay. Plover carries the most modern electronics including: a state of the art Hummingbird Fish Finder, constant internet access, a radio, a CD player and MP3/USB connectivity to play your own music. Food served is healthy and delicious with quality branded refreshing drinks. Fishing gear - highest quality and regularly maintained with light, medium and heavy fishing rods on-board at all times to allow us to fish multiple zones, which increases your chances of taking home. A deep freezer is on board to carrying a large variety of bait. The vessel has a clean, full sized, electric flushing ceramic "private" toilet for everyone's comfort. 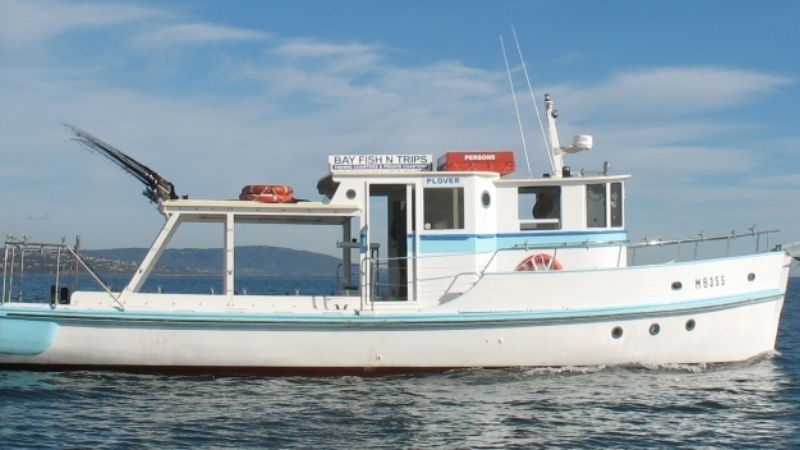 A classic boat combined with modern day comforts and a great versatile, attentive crew. 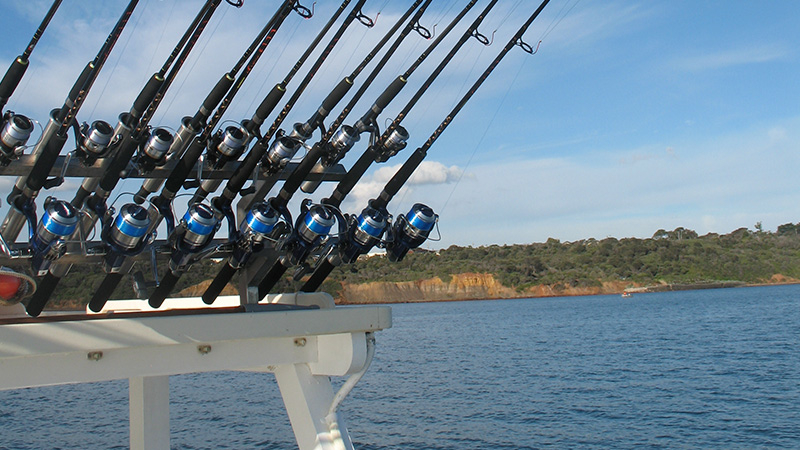 Affordable prices for fishing or cruising on Port Phillip Bay. 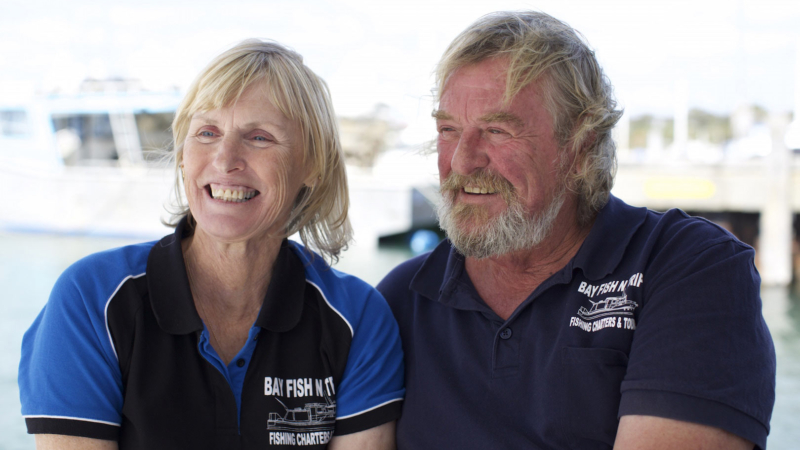 Bay Fish N Trips' owners, Stuart and Sandra, love to be on the water. 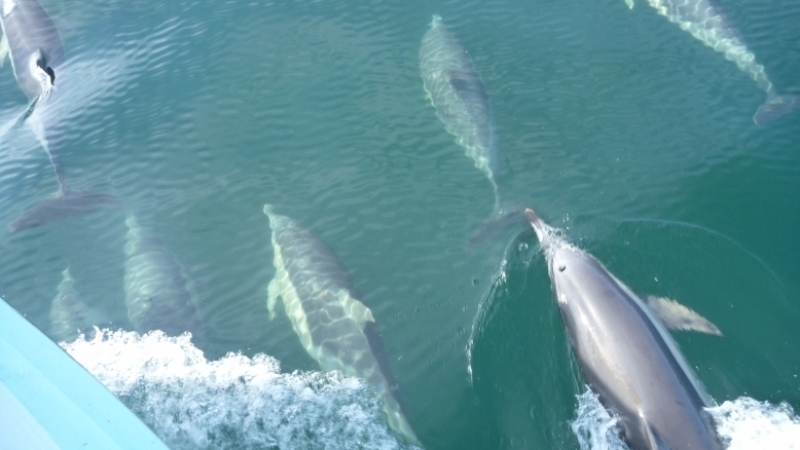 Their knowledge of Port Phillip's history and marine flora & fauna is second to none and they run a friendly, vibrant ship with a casual, relaxed atmosphere. Mornington is their home. 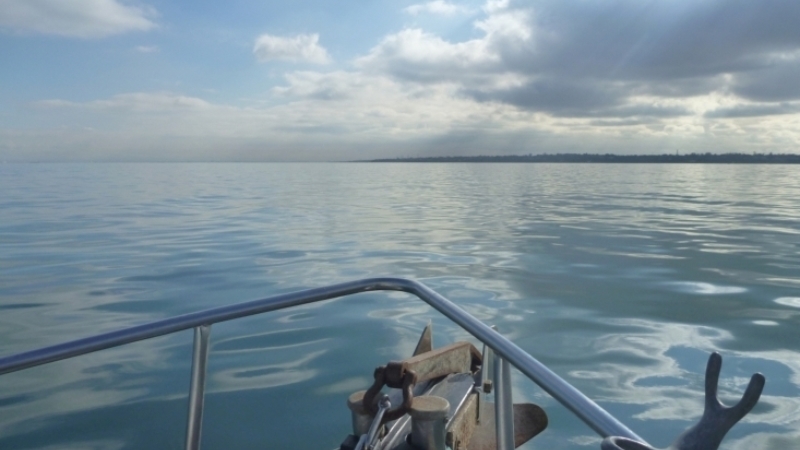 They have spent many years exploring and fishing Port Phillip Bay catching Snapper, Flathead, Squid, Whiting, Leather Jacket, Shark, Stingray, just to name a few. 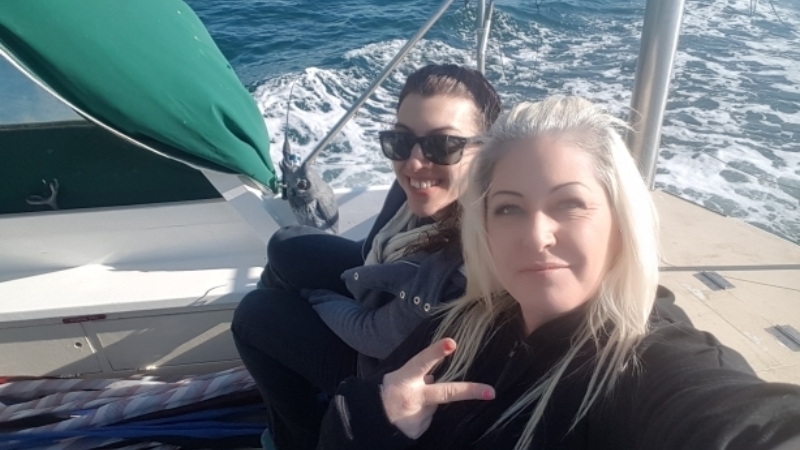 They also have spent years cruising all the way up the east coast of Australia catching Tuna, Coral Trout, Cod, Mackerel, Black King fish and more. 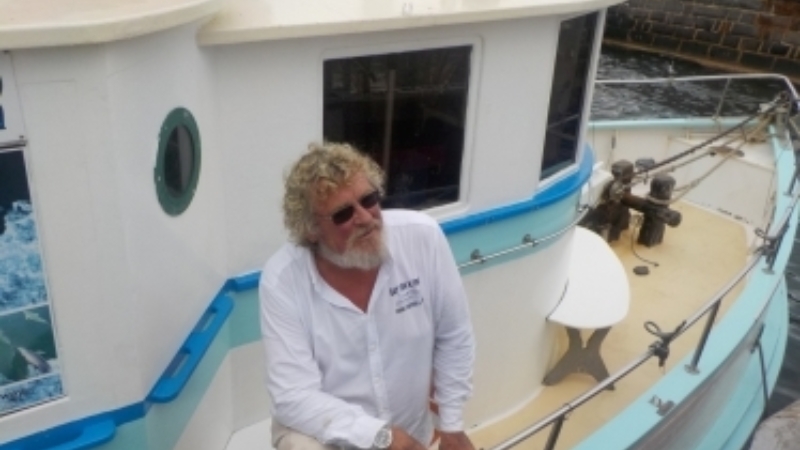 They even had a 12 month stint sailing together out in the South Pacific catching feisty Mahi, Black Cobia, Queenies, & Yellow Finned Tuna. 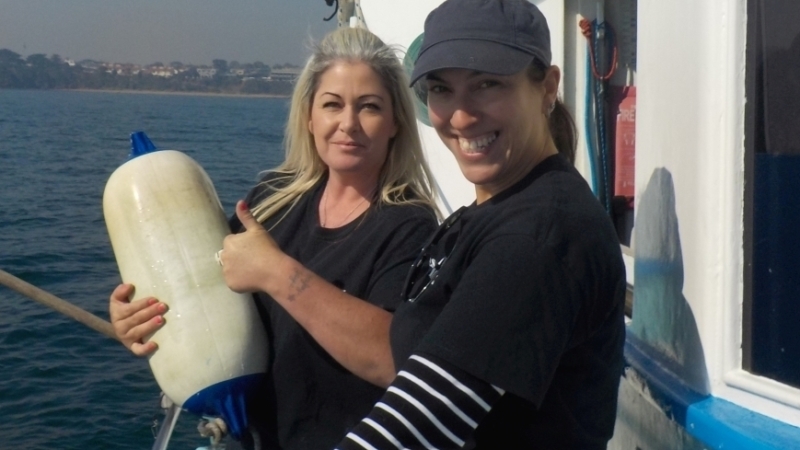 Plover's crew show genuine affability, professionalism, passion and excellent fishing knowledge of Port Phillip Bay. Stuart is your skipper, Sandra handles the logistics. The main deckhands, all year round, are Jess and Yolanda, with Dave and Bailey joining the team over summer. 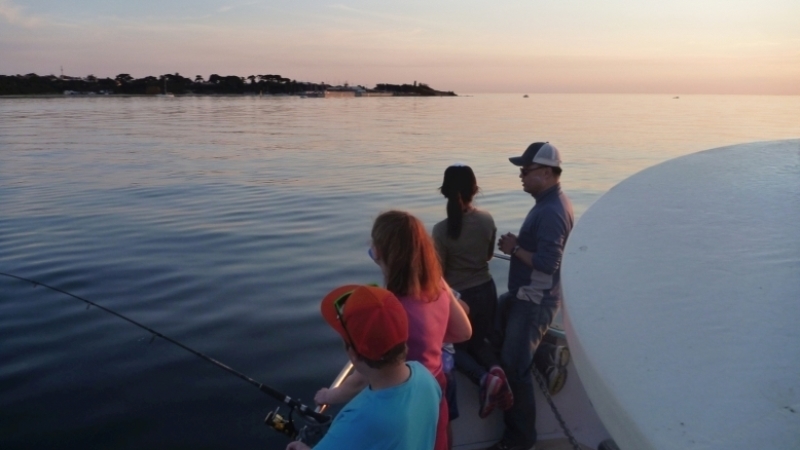 The crew don't fish while working on board, but are there to help you to have a great day, as well as teach you how to become a competent angler from start to finish (if you have chosen to fish). The Plover crew genuinely enjoy meeting people and are proud of what they do. We want you to have the most positive memorable day! 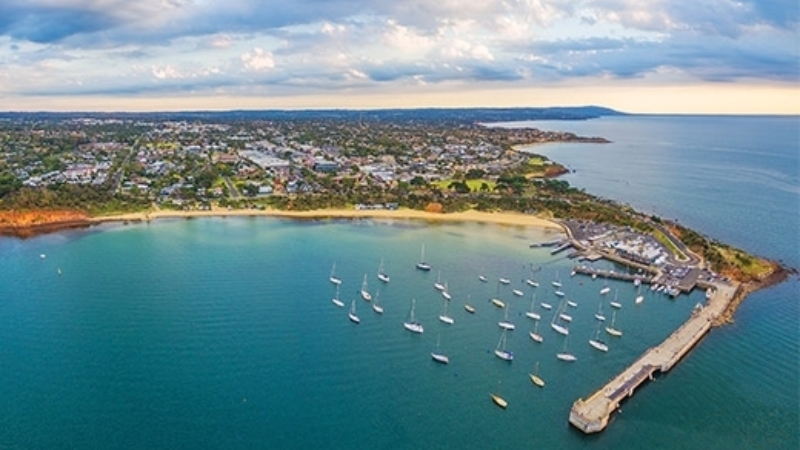 Mornington (just over an hour from Melbourne) is the beautiful seaside town on the Mornington Peninsula and the location for this tourism business, Bay Fish N Trips. Located south east of Melbourne's central business district, the Mornington Peninsula is a popular holiday destination, known for its beaches, national parks, food, wine and outdoor activities. 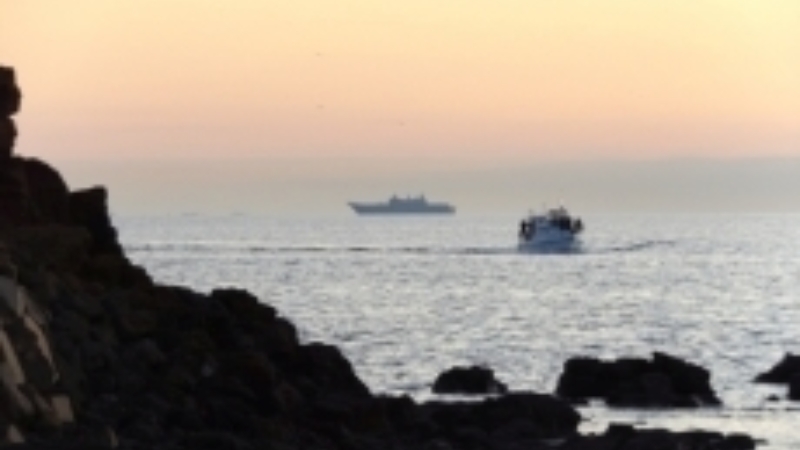 It has water on three sides of the peninsula which makes it very accessible to some fantastic fishing grounds as well as numerous other water activities. Please ask our team for suggestions of what to do or where to stay or check out the "Contacts" tab has links to the Mornington Peninsula and Frankston Tourism websites. Bay Fish N Trips has also collaborated with other local businesses to produce some wonderful packages - see 'Packages' under the "Trips & Tours" tab. One of the largest enclosed spaces of saltwater in the southern hemisphere and one of the most bio-diverse pieces of water on the planet. 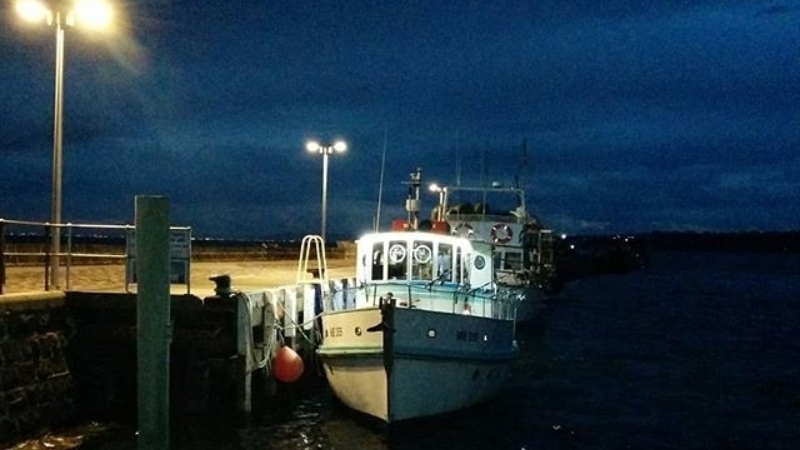 It is such a privilege for us to be able to share some of its features when you take a fishing trip or cruise, from Mornington, on board the Plover. 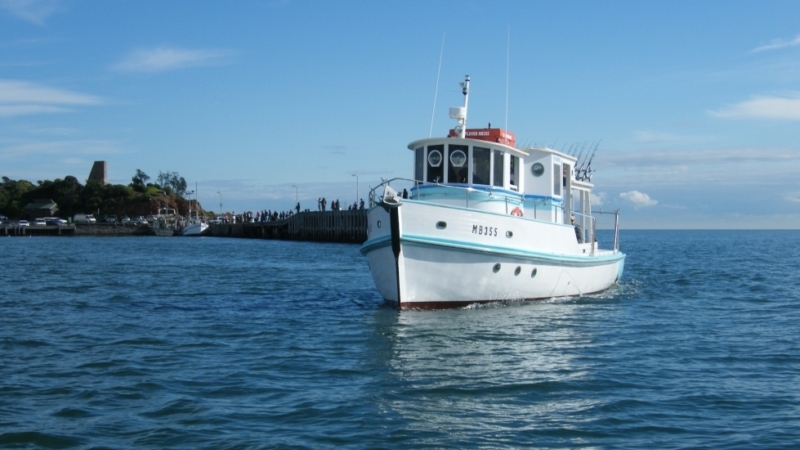 Bay Fish N Trips is the only locally owned and operated charter business in the Mornington Harbour.